Okay, let's set the record straight. 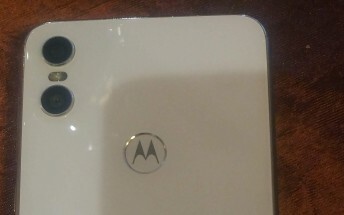 Motorola seems to be preparing more than one phone under the One series as per latest leaks. The first reports showed a metal body with notched display and fairly thin bezels, while recently another Motorola One device surfaced with strikingly similar design. The latter comes with glass back and slightly altered dual camera design compared to the One Power. This could mean that both handsets are part of the same family with the first one being the budget variant. 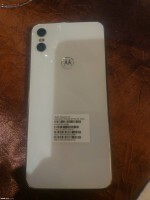 Anyway, two more live photos surfaced of what appears to be the more expensive variant of the Motorola One confirming the glass back, the dual camera setup with dual tone LED flash, metal frame and rear-mounted fingerprint reader. Unfortunately, the leak doesn't show or hint at anything else except the design. But from previous reports, we know for sure that Motorola's One lineup will run stock Android and that the company is gearing up for a big launch on August 2. It could be the One lineup, the long-awaited Moto Z3 flagship or both at the same time. But since we haven't heard anything about the Moto Z3 so far, the One series will probably be the star of the show.